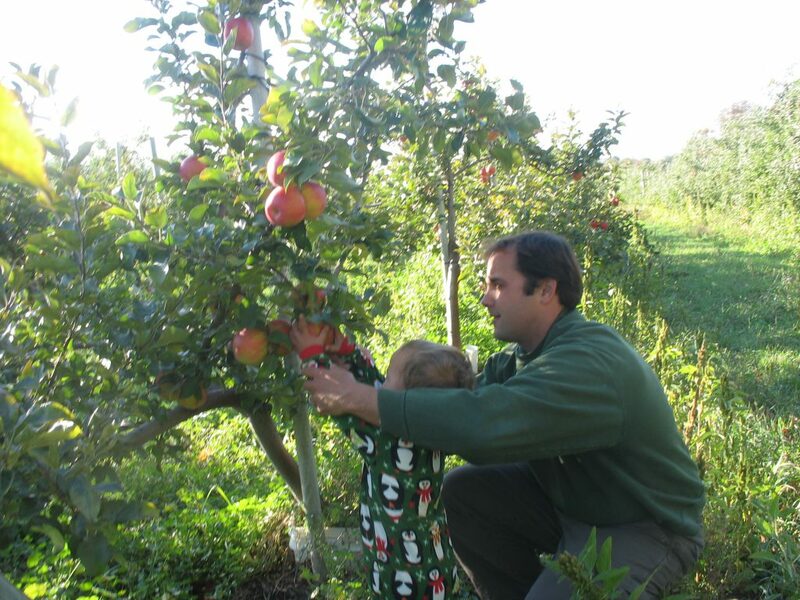 The next generation: Mark Meizio with his son inspect the honey crisp. The year was 2005. Emily Gregory and Mark Miezio had been dating for just about four months. They were living in Chicago where Mark consulted as a civil engineer and Emily worked as an oncology hospice nurse. The couple decided to head north for the weekend to the Suttons Bay farm where Emily had grown up. She is the youngest child of Don and Ann Gregory who are part-owners of Cherry Bay Orchards. It was May; the cherry trees were in full bloom. “I can remember driving along M-22,” says Mark, who had grown up in a Chicago suburb. “It was breathtaking. Simply breathtaking.” Once back in Chicago, they spent the next Saturday morning “talking about what we wanted out of life,” says Emily. Emily had always dreamed of coming back to the farm but never thought she would find someone–especially living in Chicago–who would share that dream. But after that May weekend, Mark was hooked. They saw the farm operation as a great opportunity and an ideal lifestyle for raising the family they both wanted. “We sold my condo across from the Sears Tower, quit our jobs, got married and came home for the summer to work cherries,” recounts Mark. In the meantime they applied to grad school at MSU and in the fall moved into married housing to pursue advanced degrees they felt would add value to the farm. Mark earned an M.B.A. and Emily a nurse practitioner license. Seven years later, the old farmhouse where Emily grew up is now home to the Miezios and their three young children. The house is just a stone’s throw from the office where Mark and the patriarchs of the business—Don and his brother, Bob Gregory—talk over everything from brown rot to high-tech solutions for cooling cherries. This is a story about a big farm, and a big family. It’s about the next generation stepping up and the values they have in common with their elders. Values such as family and community and preserving land for future generations—including 107 acres of prime fruit growing land along the 633 corridor preserved this year. Cherry Bay Orchards is arguably one of the most successful farming operations in the state. It owns or leases 2,600 acres of orchards. Emily and Mark are just part of the next generation working in the business. 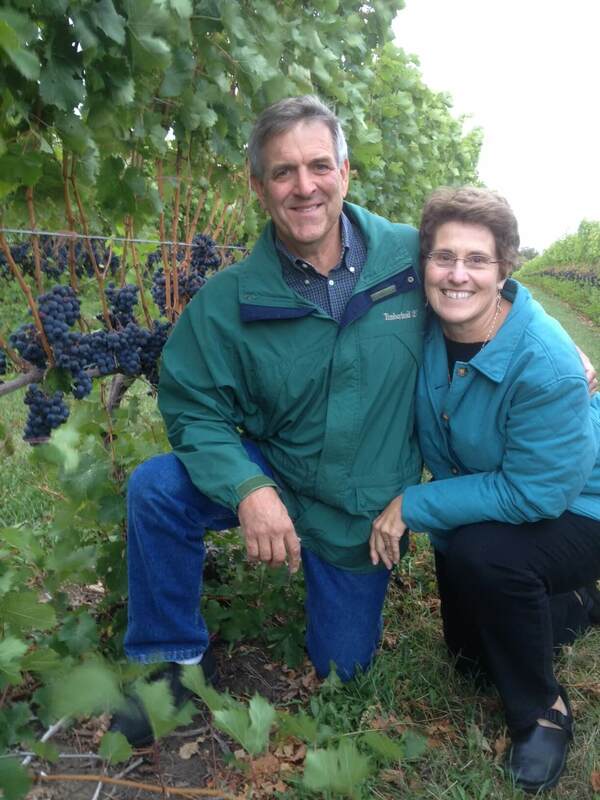 Bob’s son Andrew—who also grew up pruning and shaking cherries–earned a business degree from Calvin College. He works for Shoreline Fruit, a cherry marketing business partially owned by Cherry Bay. He and his wife, Julie, live in Leelanau and just had their second child. Shoreline Fruit captivated Andrew’s interest because “it’s anohter piece of the pie—where everything goes after it is pitted and frozen,” he says. His responsibilities take in sales and information technology for the entire operation. Cherry Bay also has part ownership in Great Lakes Packing, where fruit from all over the region is pitted and packed. Two years ago, the family also purchased a winery called Chateau de Leelanau. It includes 27 acres of grapes and a tasting room at Hilltop Corners. Andrew’s brother, Matt, runs the tasting room. The ownership of Cherry Bay extends beyond the Gregory family with Norm Veliquette, president of Great Lakes Packing, his family and other key employees at Cherry bay also having some ownership in the business. Along with the dedication of all these individuals, the diversification and vertical integration has been keys to Cherry Bay’s success. “I don’t know that had we not been vertically integrated we might not be here today,” says Bob. “We’ve been able to move cherries closer to the market and to glean margins all the way through.” An oversupply of cherries was “turned into dollars by moving into the emerging markets of dried cherries and concentrate,” he adds. 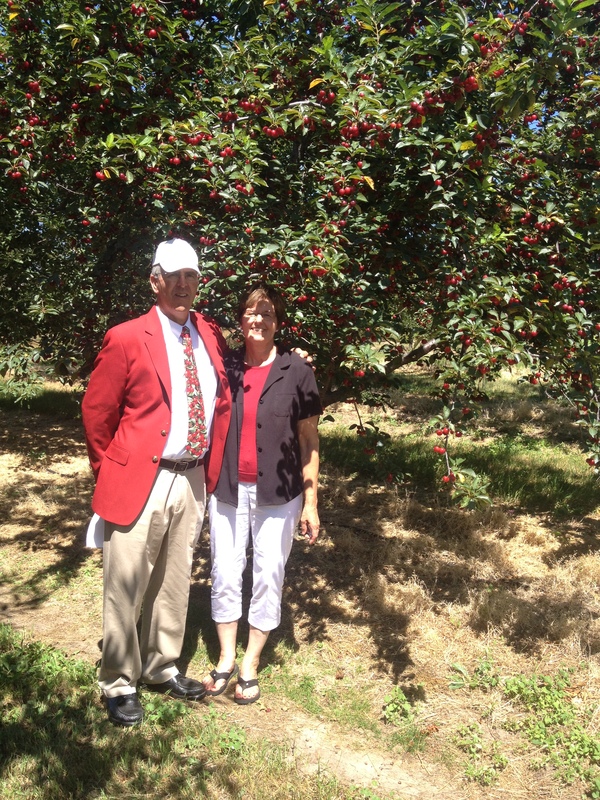 Bob and Dianne Gregory in the orchard, showing their cherry spirit!